The new UK ‘Right-to Rent’ regulations come into full effect on 1 February 2016, and it may mean an extra hurdle for foreigners moving to the UK. If you’re moving to London in 2016, you’ll need to have a number of documents, (in addition to the mountain of paperwork that you’re already collecting!) at the ready for your landlord. 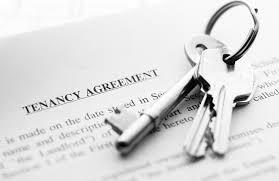 While the additional regulations mean more work and more responsibility for landlords and property owners, it has a knock on effect of meaning that renters and potential tenants will have to undergo more checks before they are allowed to rent a property. You can easily expect the amount of paperwork and time to rent an apartment in London, to double. Part of the new Right to Rent laws is the immigration check: All landlords intending on letting their private rented accommodation to new tenants will have to perform an immigration check and provide proof that their immigrations status is lawful before accepting a rental agreement. Here’s the tricky bit: The immigration check will extend to each adult living on the property, as well as all adult dependents. A civil penalty, upwards of £3000 will be the penalty for any property owner, or agent acting on behalf of a property owner who rents a property to anyone who has not passed the immigration checks. If you are a potential tenant and arranging your tenancy from overseas, a landlord or agent must see their original documents before you start living at the property. At London Relocation, we understand that moving to London is not only time consuming, but stressful and emotional at times. We’re here to help you a) find an apartment that you’d like and b) ensure that ALL your paperwork is prepared ahead of time, so you’re guaranteed the right to rent and your peace of mind.